A boy kidnapped by two mismatched hitmen puts them at each other's throats while being driven to their employers, possibly to be killed. 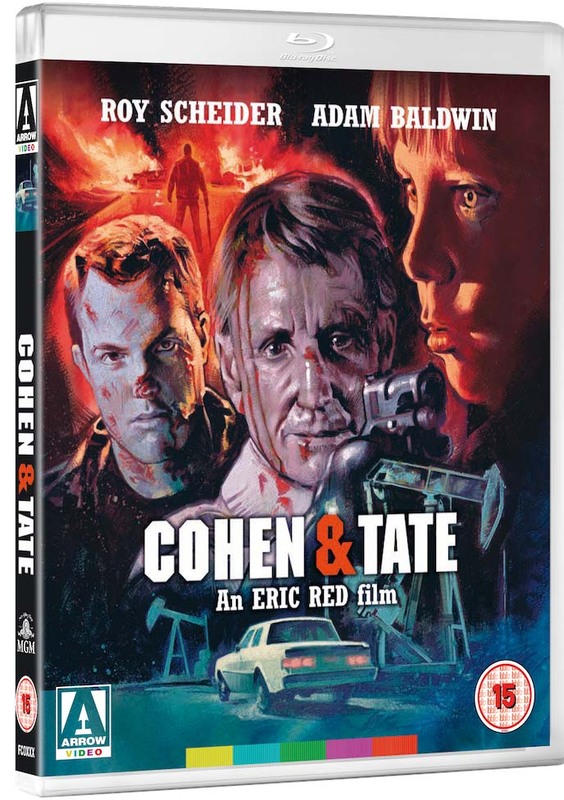 Thanks to Arrow Video, a new Blu-ray release of Cohen and Tate hit the market recently. 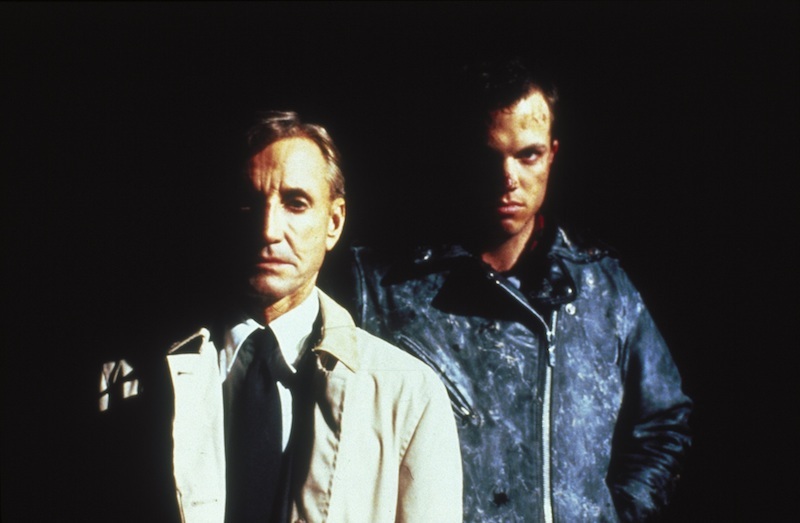 If you’re a nostalgic for the gritty, dark, violent, and low-budget thrillers that filled cinemas and TV screens in the late-1980s, it’s definitely an overlooked movie worth considering. And if you’re already a fan of the movie, you’ll be happy to hear this Special Edition also features an audio commentary, director Eric Red’s original storyboards for the opening farmhouse shoot-out, and a retrospective documentary featuring Red, cinematographer Victor J. Kemper, editor Edward Abroms, and co-stars Kenneth McCabe and Harley Cross. 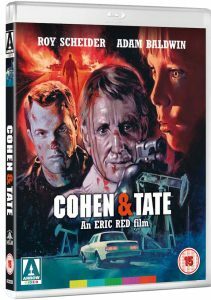 Even though it plays like a road movie, Cohen and Tate is half psychological thriller and half action B-movie. 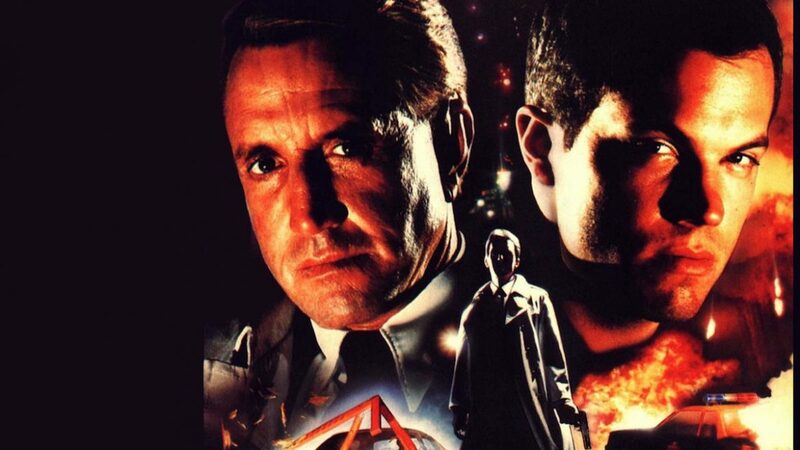 The titular characters, Cohen (Roy Scheider) and Tate (Adam Baldwin), are two hitmen hired by a bunch of mobsters to kidnap a Texan kid who witnessed a murder, and take him back to Houston. The circumstances around the killing are uncertain, and remain no more than an expedient way to kick off the story. Despite 9-year-old Travis (Harley Cross) being under witness protection in a remote farmhouse, tracking him down and snatching him from his family couldn’t be an easier task for Cohen, who’s been in this business for a while. His bosses, however, think he’s getting a little too long in the tooth, and partner him with a young young guy called Tate, who proves to be more of a liability than a helping hand. If that wasn’t enough, Travis, although scared to death, is still resilient enough to complicate things further. It doesn’t take long for the two hitmen to lose focus on the mission, and start worrying whether they’ll make it alive to Houston at all. If Cohen and Tate had opened in cinemas just last week, it would have been unceremoniously laughed at by audiences and critics alike. 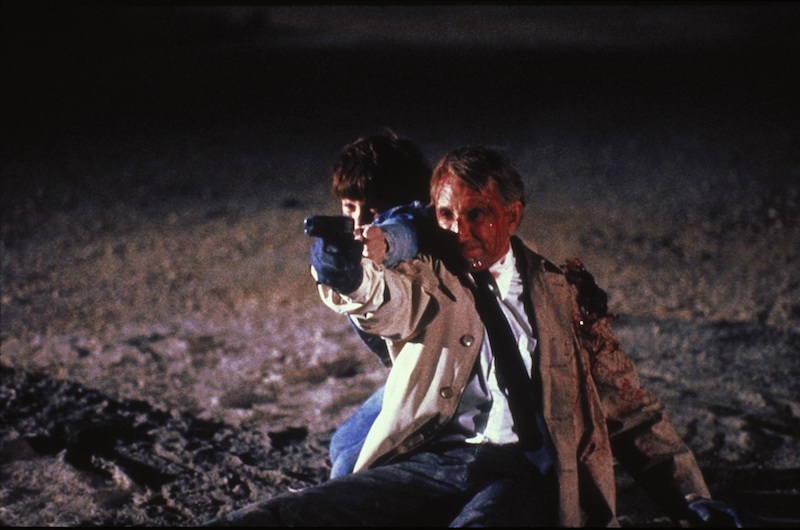 The uncompromisingly cynic and artificial nature of the film, typical of so many slick action flicks of the period, will make more sense if seen through the prism of what ’80s movies were like. Sequence after sequence, Cohen & Tate portrays daunting images of violence, despair, and malevolent human nature, while its characters are simplistic and divided into two well-distinct types: the damned, cut-throat assholes, or innocent victims. However, there’s an evident albeit superficial realism that makes this film quite effective: you see it in the pitch black night surrounding the interstate roads, in the fuming chimneys of the factories on the road to Houston, and in the close-ups of shotguns that appear so real you can almost smell the metal and gunpowder. It’s important to contextualise older movies, and remember that this film is set in an America of endless violent crimes, of news channels terrorising viewers, and of a working class frightened by the steady rise of micro-criminality. It may seem silly if we think about it now, but there really was a time, not too long ago, when a story like Cohen and Tate felt genuinely scary to many people. Scheider and Baldwin do a good enough job of bringing their characters to life, although they couldn’t be any more stereotyped as villains. 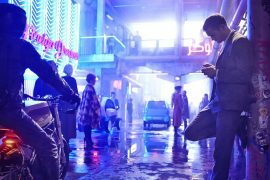 The screenplay doesn’t give them too many chances to shine, and even the sharpest dialogues make them seem cartoonish and awkward. They’re not necessarily poorly written characters, though; actually, there’s a certain degree of coherence in them being so schlocky. This is probably what makes the difference between shelving Cohen and Tate and forgetting about it, and remembering it as one of the few ’80s B-movies that didn’t get everything completely wrong. Credit is also due to Red and Kemper, who gave the film the best possible look with the budget available. Ultimately, it was hard for Cohen and Tate to compete with many of its contemporary action films, and if you’re not already a fan of the genre this won’t make you change your mind. But if you’re open to giving it a chance, you’ll certainly find time for it on one of those lazy, dark, and wet winter afternoons. Original stereo audio (uncompressed on the Blu-ray). Audio commentary by writer-director Eric Red. A Look Back at Cohen & Tate, a retrospective documentary featuring Eric Red, cinematographer Victor J. Kemper, editor Edward Abroms, and co-stars Kenneth McCabe and Harley Cross. Eric Red’s original storyboards for the opening farmhouse shoot-out. Original, uncut versions of the farmhouse and oilfield shoot-outs. 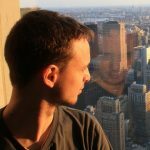 writer & director: Eric Red. starring: Roy Scheider, Adam Baldwin, Harley Cross, Cooper Huckabee, Suzanne Savoy & Marco Perella.